Last winter one of my cousin’s came by to do holiday baking with me (she’s come by before – to make this history of civilization cake and this was her wedding cake – love having cousins close) and in addition to all my normal recipes she requested to make her mom’s Rocky Road fudge – I get a lot of great recipes from my Aunt Lynne. 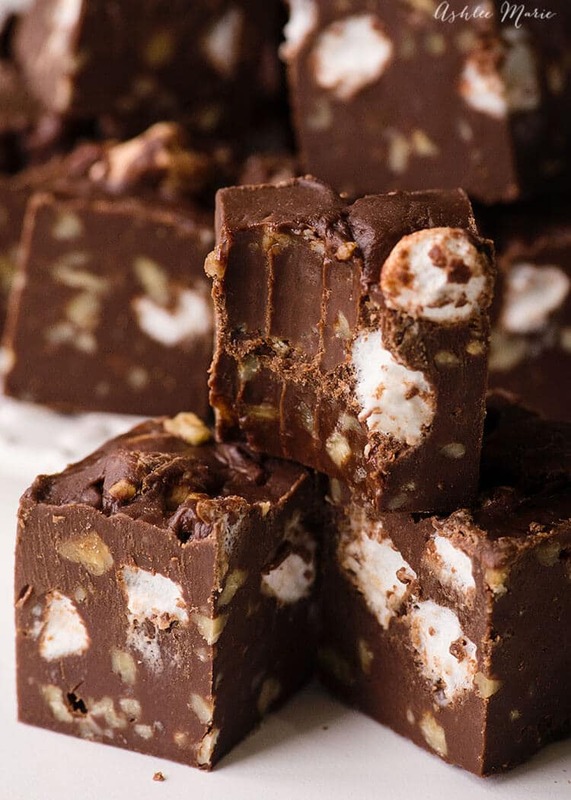 Now I add about double the frozen mini marshmallows that my aunt does and less nuts – but that’s the great thing about cooking from scratch – that you can personalize it to fit your own style! Now as you can see I highly recommend getting a candy thermometer! 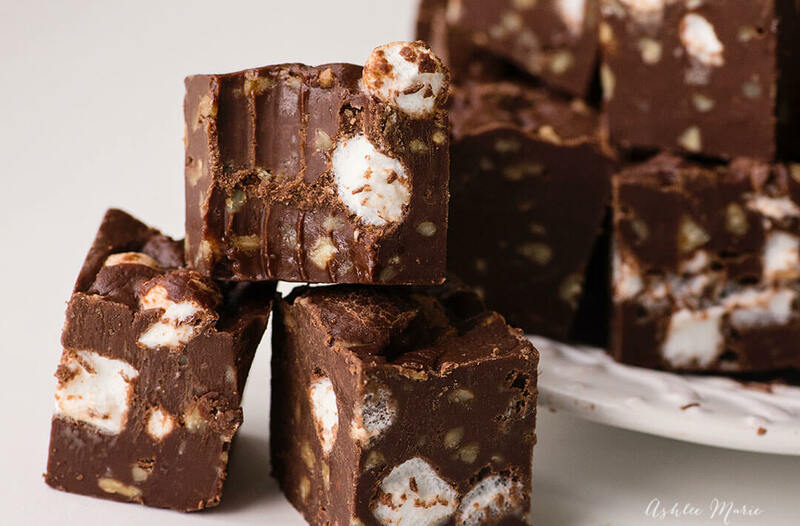 Personally I believe it makes a huge difference when making fudge. And they aren’t that pricey – so it’s not hard to get started! stir until the chocolate is melted and it starts to lose it's shine. 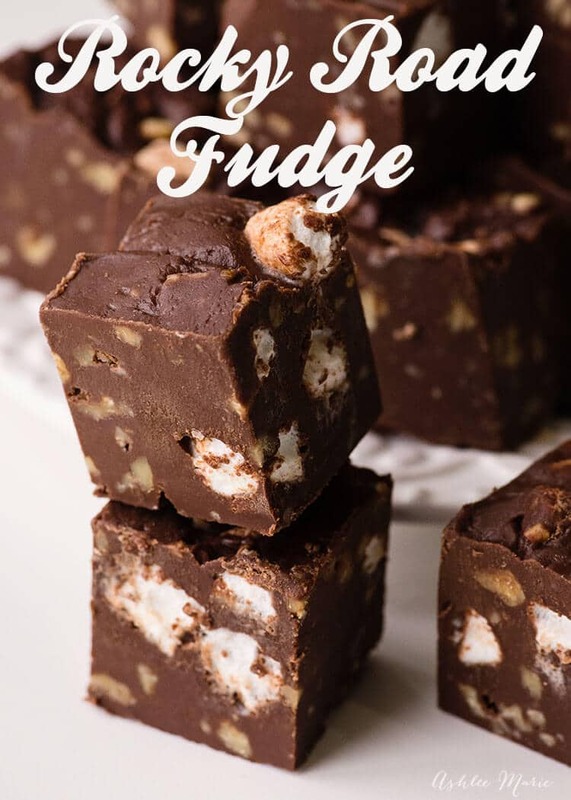 So do you love fudge? What’s your favorite flavor? and do you have a favorite technique? 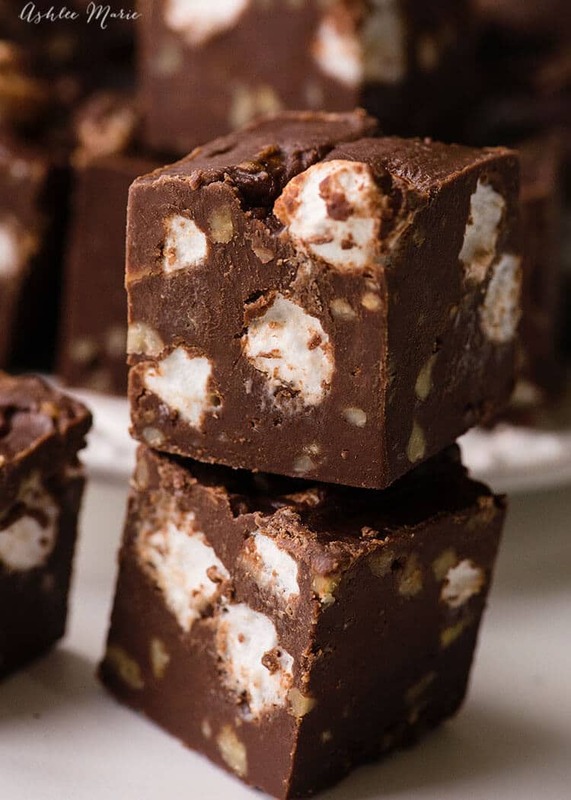 do you swear by marshmallow creme, mini marshmallows or some other family favorite tried and true fudge recipes? Do you stir the milk & sugar as you bring it to just under the softball stage? TECHNICALLY your not supposed to stir when making candy but personally I always do – ESP when using stainless steel post- it would burn every time if I didn’t! I stirred the mixture & the fudge turned out fantastic! I appreciate your comments about temperature & adjusting it. Do you ever teach local classes? I used to teach locally! I haven’t in a few years, now I film pretty much all the time (I make FB videos for other food bloggers). And I’m so glad the temp tips helped! it really is! hope you give it a try! You know what Christin if you showed up on my doorstep with a tin full of fudge we will be friends for life, too! Christin? I don’t know who that is but if they are delivering fudge I’m in.